Add a touch of hobo to your look with the See by Chloe™ Hana Suede & Leather Tote. Small shoulder bag made of pebbled top grain leather and rich, suede leather. 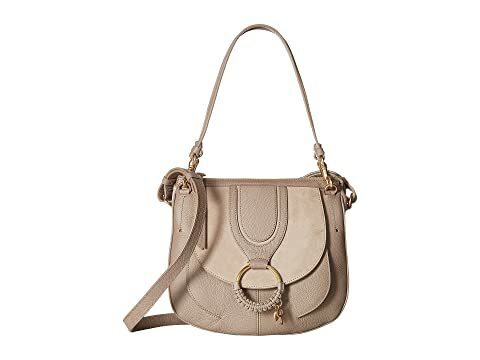 Leather handle strap with adjustable crossbody strap. We can't currently find any similar items for the Hana Suede & Leather Tote by See by Chloe. Sorry!